This delightful 5 bedroom village house, located in Ilmington, had been operating as a B&B when the owner decided to downsize. 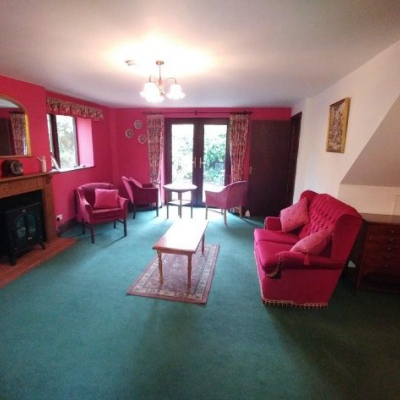 It had been marketed as a B&B with a couple of agents for about 18 months with little interest. 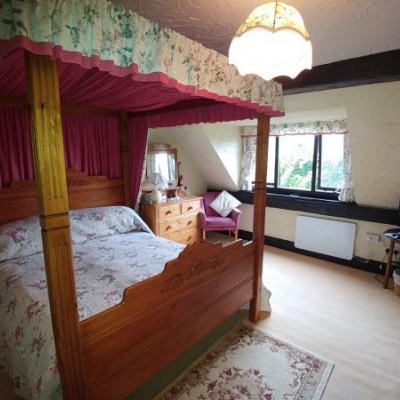 The accommodation size was generous, but it had a few very personal interior design elements which may not be attractive to all buyers, including fuchsia pink walls with matching sofas and four poster beds with floral pelmets. The windows and external doors were tired and in need of some attention and there was artex on most of the internal walls. The kitchen was dated and in need of a freshen up to help attract potential buyers. 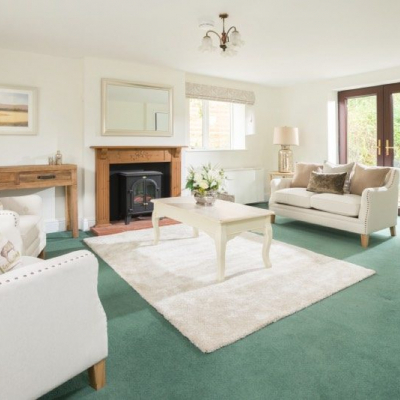 Rather than reduce the guide price, the newly appointed agent, who understands the power of homestaging, introduced us to the client and we set to work on making it look more appealing to buyers. 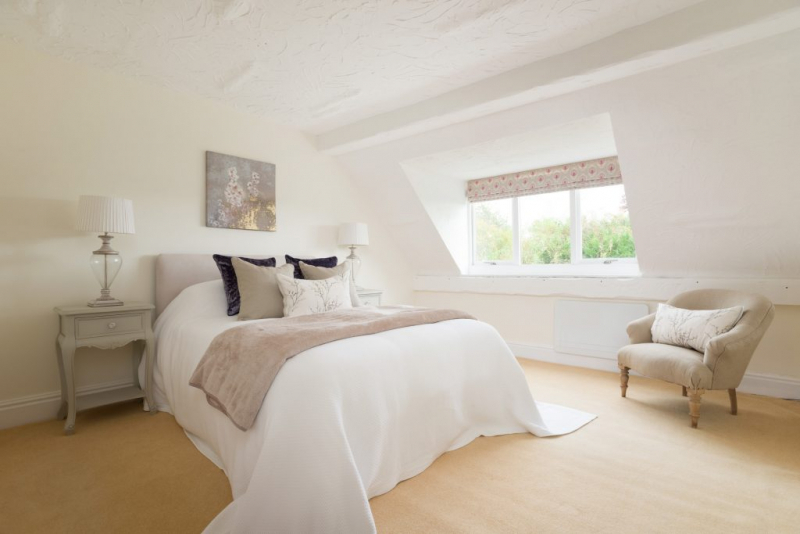 It was taken off the market and we project-managed a part renovation involving re-plastering, re-decorating both internally and externally and assisting in the sale and removal of unwanted furniture. 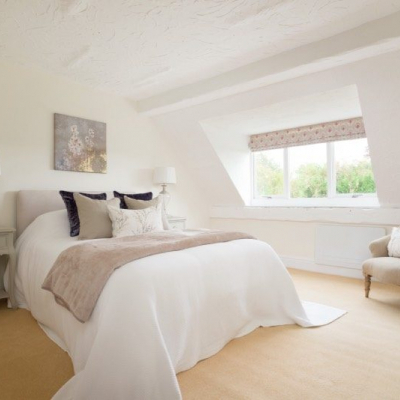 Once we had toned down the walls and decorated using a more neutral palette throughout, we furnished and dressed the property ready for remarketing as a family home. We replaced heavy curtains with light voiles and replaced the four poster beds with normal double beds with headboards and white bedspreads. We added hints of colour in the soft furnishings and artwork to retain the calm look throughout. In the sitting room we replaced the pink furniture with smaller cream sofas and added a neutral rug to cover some of the green carpet which the owner didn’t want to replace. The guide price remained at its original level and a sale was agreed within 3 weeks of going back on the market, selling for 99% of the guide price. Our client spent just 1.07% of the guide price.